Low-lighting is often troublesome when trying to install cables inside walls or attics, but it doesn’t take much to fix that problem. 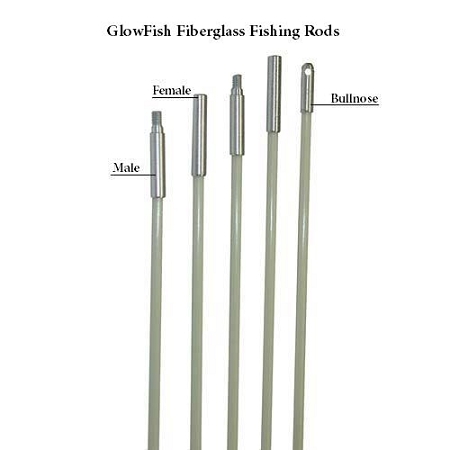 Grab some GlowFish Glow-in-the-Dark Fiberglass Push Pull Rods and voila! Let there be light, wherever you need to route wires. 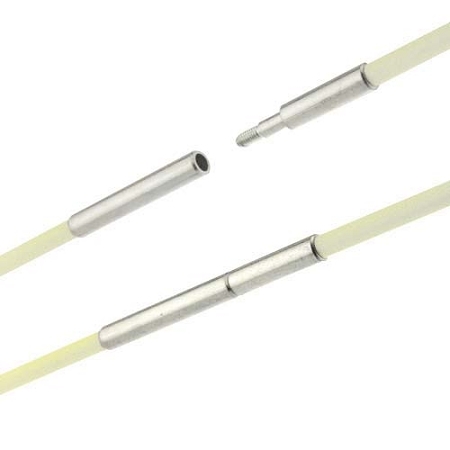 Available in two diameters—one highly flexible at 5/32”(407 model) and one a little more durable at 3/16” (307 model) - these GlowFish cable rods can be purchased in varying sizes for various applications. Multiple combinations are also available for purchase: male tipped, female tipped, and bullnosed. 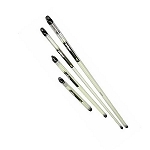 The Glow-in-the-Dark Fiberglass Pull Rods come in a glass container for easy storage, and allows for light collection when not in-use to ensure they’re always ready to work. 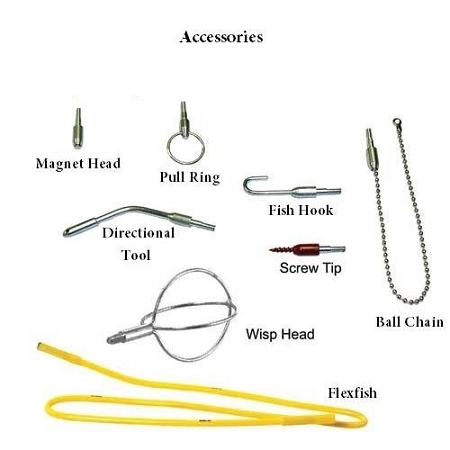 Below, many accessories for additional job needs are available as well. For additional dimensions, please click the "Specifications" tab. For details about the two models, 307 and 407, please click the "More Information" tab.